GeekVape Griffin 25 Colorful Replacement Glass Tube, which has 6ml capacity, adopts high quality material. Judt get it as your spare part. 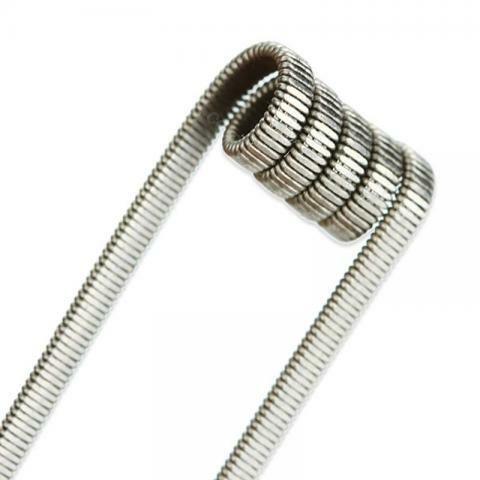 GeekVape Caterpillar Track Coil Kanthal A1 is a 2pcs/pack coil with made of metal. Compatible Model of DIY Atomizer/RBA/RTA/RDTA. From Geekvape. Kanthal A1 with 0.35ohm (±0.05) resisstance. 2pcs GeekVape Caterpillar Track Coil Kanthal A1, includes 2pcs GeekVape Caterpillar Track Coils and 1pc Cotton. 0.35ohm for each coil. Perfect choice for DIY lovers. Best place to buy.